Growing numbers of robots are being transferred from the U.S. Department of Defense to domestic law enforcement agencies. We have conducted an in-depth analysis of these transfers, and have found at least 987 robots in use across the country. Here’s what you need to know about who owns these systems, where they are, and how much they cost. At the Diplomat, Alyssa Sims takes a look at the potential consequences of drone proliferation. At the Indianapolis Business Journal, Anthony Schoettle writes that the FAA’s new drone rules should prove a boon to local television news stations. At Foreign Policy, Rachel Reid argues that the Obama administration’s changes to its airstrike policies are more important than the casualty figures that it released. Also at Foreign Policy, Micah Zenko argues that the administration’s airstrike casualty figures fall short of President Obama’s promises for greater transparency. At Defense News, John Loh and Ronald Yates argue that the U.S. Air Force will need to reorganize current fleets of drones to meet future conflict scenarios. At Quartz, Yomi Kazeem writes that hobbyists who disobey Ghana’s strict aviation regulations could face a jail term of up to 30 years. At the Los Angeles Times, Jonathan Kaiman takes a look at how DJI has cornered the market for hobby drones both inside the United States and beyond. At Popular Science, Kelsey D. Atherton writes that fighter jet pilots of the future will be responsible for controlling fleets of drones. At USNI News, Megan Eckstein takes a look at how the U.S. Marine Corps is pursuing a strategy to develop unmanned vehicles and 3D printing tools as a way to solve logistics and resupply challenges. At the National Interest, Jason Snead argues that the FAA’s drone regulations will do more to hinder the industry than promote the safe integration of drones into the airspace. At EmptyWheel blog, Marcy Wheeler writes that a lot of the classified material in Hillary Clinton’s emails relates to drone strikes. At the Nation, Norman Solomon takes an inside look at the critical role that Ramstein Air Force Base serves in U.S. military drone operations. At AIN Online, R. Randall Padfield reviews Enter the Drones: The FAA and UAVs in America by Bill Carey. 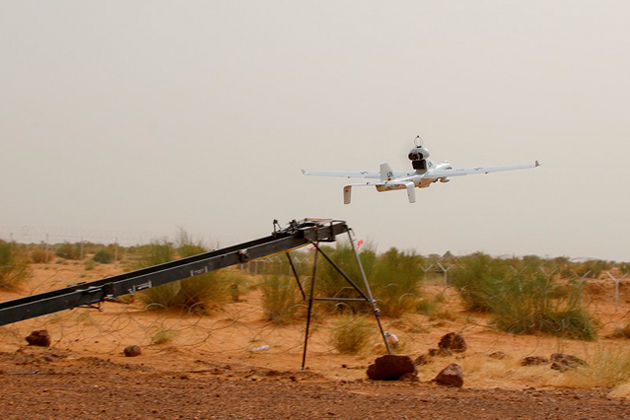 Meanwhile, at the Michigan War Studies Review, Edmund F. Byrne reviews Drones and the Future of Armed Conflict: Ethical, Legal, and Strategic Implications. Dronestagram announced the winners of this year’s drone photography contest. Meanwhile, at Fstoppers, Alex Cooke offers tips to shooting portrait photography with drones.